When you think of beef, you usually think of brisket or steak. Not a lot of people immediately imagine the tongue. However, this should change. Beef tongue is delicious. 2. Pre-cook the beef tongue. 3. Peel the beef tongue. 4. Heat up the smoker to 250 degrees with your wood of choice. 5. Season the beef tongue lightly. 6. Smoke the beef tongue. It is also not as odd as most people think. The Spanish call it lengua, and often stew it with tomatoes, another popular dish is tacos de lengua. The French also have their own tongue recipes featuring the beef tongue. Other countries like Germany, Russia, Japan, and Mexico consume beef tongue regularly. In fact, it is commonly served in the Feast of Tabernacles, a Jewish holiday. Beef tongue can be cooked in a variety of ways. After preparation, it can be praised or sautéed in a pan with herbs. But, another dish you can make from it is smoked beef tongue. The smoking process brings out the beefy succulence while maintaining its firm texture. 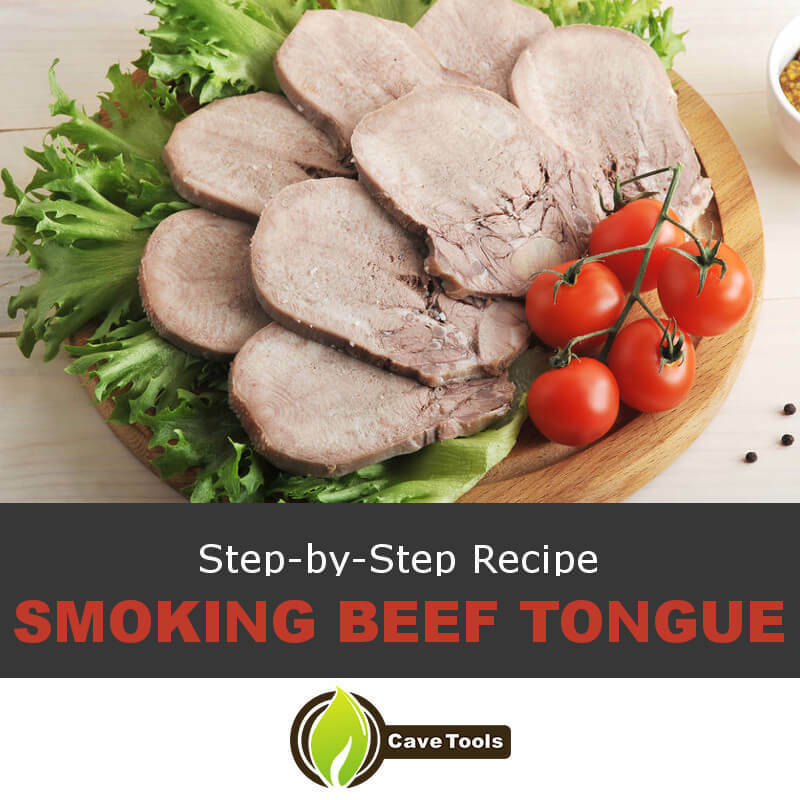 Next time you don't know what to cook, try out this beef tongue recipe! Start by washing the cow tongue well under lukewarm water. You can scrub it with a vegetable brush to ensure that all debris is washed off. The cartilage and sinewy parts should also be removed. If the butcher did not detach them, you can easily chop them off. The skin of the tongue can also be removed at this point. But, it will be harder. It is easier to remove the outer layer after the tongue has been pre-cooked. To get the flavor from the brine to penetrate the tough skin, you can cut off a small piece of the skin at the thickest part of the tongue. If using larger cuts of beef tongue, you can adjust the flavorings proportionally to make sure that it does not come out bland. Put the cleaned tongue, water, kosher salt, bay leaves, peppercorns, garlic, and onion in a pressure cooker. This brine flavoring is the traditional version, but there is no law that states that it must be followed exactly. You can have your spin. For example, adding cinnamon sticks will give the dish hints of spice. Cook the beef tongue for approximately 45 minutes. Cooking time of the tongue will depend on the size and how tender it is. Most people choose a tongue that is less than 3 lbs. because it Is softer and takes less time to cook. If you do not have a pressure cooker, you can boil the beef tongue or even use a crockpot. Just take note of the different cooking times. Boiling the tongue over a stovetop will take longer; perhaps, up to four hours. You have the option of skipping the stage where you pre-cook the tongue. But, the results will not be as tender. Peeling is technically optional. The skin is edible, but it can be leathery, so most people prefer the beef tongue without it. To peel the skin, allow the pressure from the pressure cooker to come down on its own. Once the pressure has stabilized, let the tongue cool a bit. You can speed up the process by putting it in an ice bath. When the tongue is cool enough to handle, peel off the skin to reveal the meaty part inside. The skin should slide off quickly. A tip from the pros is that if the skin does not budge or is hard to peel off, it needs more time to cook. The connective tissue will not put up a fight if the meat is sufficiently tender. You can use any kind of smoker available. Originally, logs of hardwood were the only options for smoking. But, there are not grills and smokers that use charcoal or gas. The woodsy, smoky flavor is obtained by adding wood chips or sawdust. If you want to impart a bolder flavor on the meat, go for bigger pieces of wood. This is because they burn more slowly. The fat and oil that drips down help produce smoke. If the beef tongue is looking a bit dry, you can spritz it with a little water or apple juice. The moisture will help the meat absorb the smoky flavor. Just be careful not to put too much liquid, or else the flavoring will wash away. The flavor profile changes with the wood you use. For example, if you use hickory, the meat will take on a sweet flavor with hints of bacon. Pecan wood will give the meat a stronger taste. 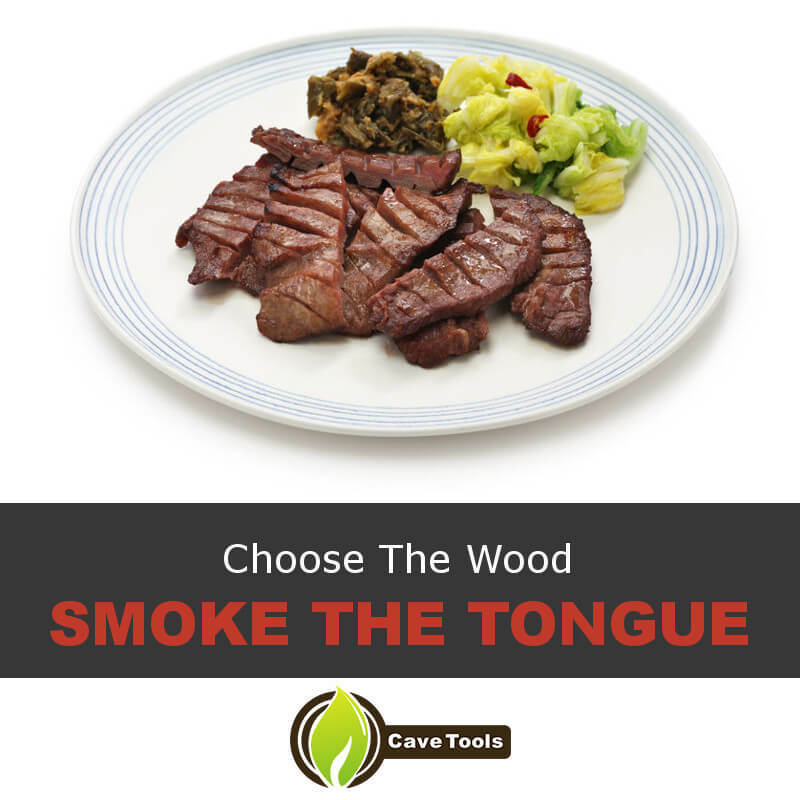 However, there are some types of wood you would want to avoid when smoking the beef tongue or other kinds of meat. Wood that comes from trees with lots of resin and oil like eucalyptus and pine tend to produce too much smoke when lit. Dry the tongue by blotting it with paper towels or allowing it to air dry. Some people hang the beef tongue for up to five days to age it. However, it is important to consider the temperature of your surroundings when leaving out uncured meat. The beef tongue, or for that matter, any kind of meat, should not be left out for more than a few hours unless the temperature is consistently less than 40 F. Otherwise, you run the risk of bacteria growth, which can lead to illness. Season the beef tongue with salt and pepper before smoking. Although the brine was already seasoned, adding another layer of flavor will ensure a stronger taste. Putting a seasoning rub on the beef tongue at this point will add a crust on the beef tongue. Here, you can add other spices if you like. Keep in mind how you will use the beef tongue to choose the appropriate flavors. Aside from spices, you can up the ante of flavor by adding bacon. Put a few slices of bacon on top of the tongue before turning on the smoker. Another good tip for flavoring the beef tongue before grilling is to put cooking oil like olive or peanut oil around it. The oil will help prevent the tongue from being too dry and give it a nice luster once it finishes smoking. The temperature of the smoker should be between 200 to 250 degrees. If cold smoking, the temperature should hover around 80 degrees. There is a big difference in temperatures because of the nature of hot versus cold smoking. Hot-smoked meat is smoked in the same location as the wood, while cold-smoked meat is in an unheated chamber where the smoke is pumped in. You can cold-smoke beef tongue if you are planning on cooking them further later on. Otherwise, opt for the hot-smoking method because it combines flavor and actual cooking. Fortunately, the beef tongue can be very forgiving. It can withstand higher temperatures. Just make sure to adjust the cooking time to prevent it from drying out too much. If using higher temperatures, you might have to add oil to the tongue. Turn the tongue every 30 minutes. If you added bacon for flavor, you can replace it occasionally so that the bacon does not become bitter. At around the halfway point of cooking, you might experience the tongue’s internal temperature stalling. This occurs because of evaporative cooling. Be patient, because the tongue will continue to cook after some time. The smoking time of a tongue that weighs less than 3 lbs. is about 2.5 hours. You will know that the beef tongue is done when the internal temperature registers at 150 degrees. A smoked beef tongue is tasty all by itself. Slice it thinly and top it off with a condiment like horseradish for a melt-in-your-mouth experience. Thin slices make the beef tongue less chewy. But, if you want some more variety, you can dress up your smoked beef tongue even more. Try it is as part of an arugula salad. The bitterness of the greens will be the perfect foil to the richness of the smoked beef tongue. Another popular way to prepare the smoked beef tongue is by making sandwiches. Add some smoked cheese and then top it off with some mustard for some tang. Similarly, you can use the smoked beef tongue in tacos for an unexpected twist. Smoking this delicacy does not have to be an intimidating experience. Neither does eating it. In both cases, overcoming your hesitation will reward you with something amazing. A 3-ounce serving of beef tongue contains about 19 grams of fat. Since fat is flavor, this dish is definitely an indulgence. 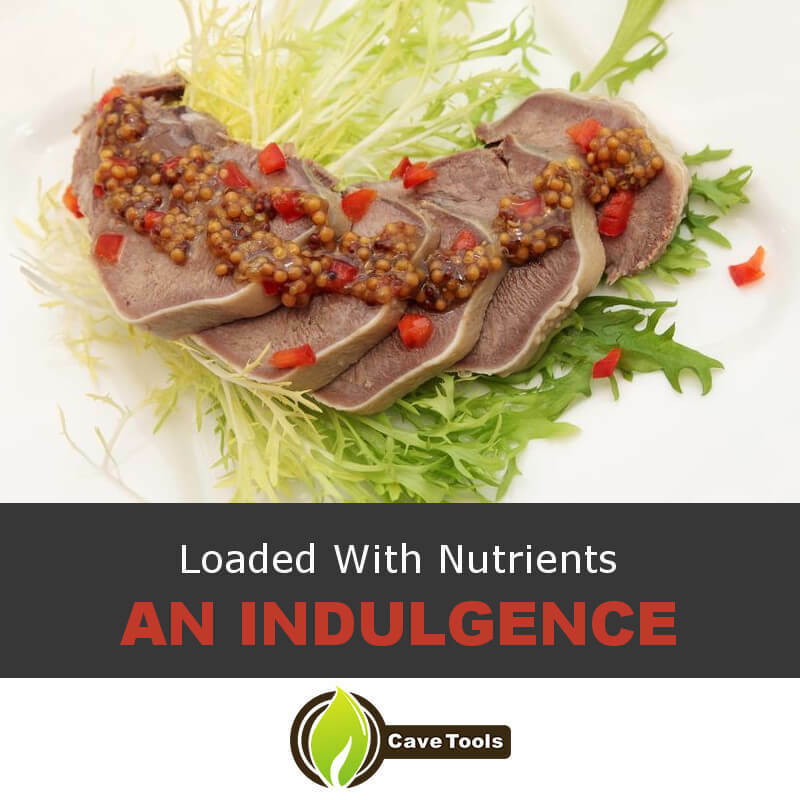 Also, beef tongue is loaded with nutrients. It is high in protein, zinc, and iron. Did this tutorial change your mind about the smoked beef tongue? Beef tongue can be polarizing, so we would love to hear from you. Leave your thoughts or smoking tips in the comments. If you found this recipe interesting, please share it with your friends! ​What’s the Difference Between Lengua and Beef Tongue? ​How Do You Cook Beef Tongue? ​Many people boil beef tongue in water or broth for a few hours, until it is soft and tender. Other people will place it in the slow cooker and allow it to cook on low for eight hours. You could also cook beef tongue in the pressure cooker or braise it in a Dutch oven. Our favorite way to cook beef tongue is ​on the smoker because it infuses the tongue with a slightly sweet, smoky flavor. ​Do You Have to Peel A Beef Tongue? ​Most recipes have a step that involves peeling the beef tongue after it boils or simmers for a few hours. This step is not required, although most people prefer the texture of beef tongue after it’s been peeled. When you peel it, you’re removing the skin. This skin can be tough, especially if you don’t cook the tongue for long enough, which is why we recommend removing it. ​How Do You Eat Beef Tongue? ​Beef tongue, or lengua, is most frequently eaten as a taco meat. You could also use it to make burritos or enchiladas. After the tongue is fully cooked and smoked, you would shred or chop it into smaller pieces. Alternatively, you can slice your beef tongue and eat it over a bed of rice, use it as a sandwich meat, or ​eat it as a salad topping. ​Is Beef Tongue Good For You? ​Beef tongue is full of fat, so some people say it’s not healthy. Most of the fat is unsaturated fats, which are considered good fats, but it is also full of saturated (bad) fats. On the other hand, beef tongue is a great source of protein and other vitamins and minerals, like B-vitamins, zinc, iron, and phosphorus.